All Web addresses mentioned were functional as of 6-19-15. From the Cumberland Gap to the Atlantic Ocean, this is Virginia Water Radio for the week of June 22, 2015. This week, we feature a tune for a large group of insects whose image as hard workers fits their widespread impacts. Have a listen for about 35 seconds. You’ve been listening to part of “March of the Picnic Ants,” by No Strings Attached, on the 1999 CD “In the Vinyl Tradition Volume II,” from Enessay Music. Ants are familiar for seemingly non-stop work, big nest mounds, social organization in colonies, and—of course—finding human food at picnics. Scientists categorize ants as a family within the insect group that also includes bees and wasps. The ant family includes an estimated 15,000 species worldwide and perhaps 1000 species in North America. Ants live in colonies in all kinds of land-based, or terrestrial, habitats, with colony workers possibly numbering in the thousands or even the millions in some cases. Ants’ diversity and numbers make them important factors in terrestrial food webs, nutrient recycling, and soil conditioning. But what about ants from a water perspective? Land and water ecosystems are connected in many ways, so ants’ terrestrial impacts can eventually affect water bodies. While no known ants are aquatic, some species live in wetlands, and for dryland species, moisture and humidity can influence where ants nest and when they leave the nest. Finally, water is a key factor for at least two notorious ant pests: moisture-seeking carpenter ants often nest in damp wood or other materials in human buildings; and Red Imported Fire Ants—South American natives that now infest Virginia and several other southern states—survive flooding of their nests by joining together into water-resistant rafts. This episode’s music was “March of the Picnic Ants,” by No Strings Attached, from the 1999 CD “In the Vinyl Tradition Volume II,” copyright by Enessay Music, used with permission. More information about No Strings Attached is available online at http://www.enessay.com. Thanks to Eric Day, Virginia Tech Department of Entomology, for his help with this episode. 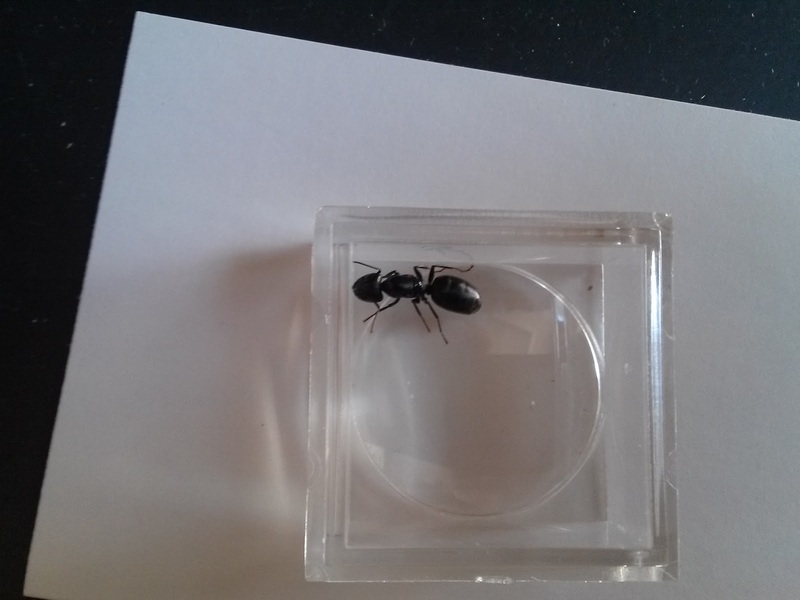 Carpenter ant from house in Blacksburg, Va., May 18, 2015. Area of moisture where carpenter ants were located under the floor of a Blacksburg, Va., house, May 15, 2015. 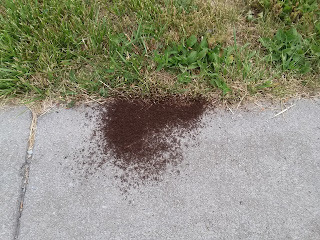 Ant colony on a sidewalk in Blacksburg, Va., May 27, 2015. 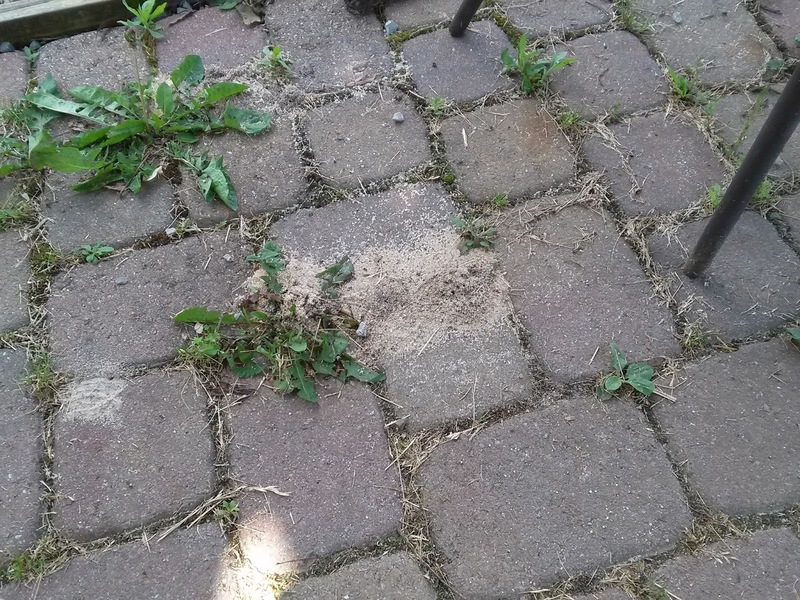 Small ant-colony mound in a residential area of Blacksburg, Va., May 30, 2015. 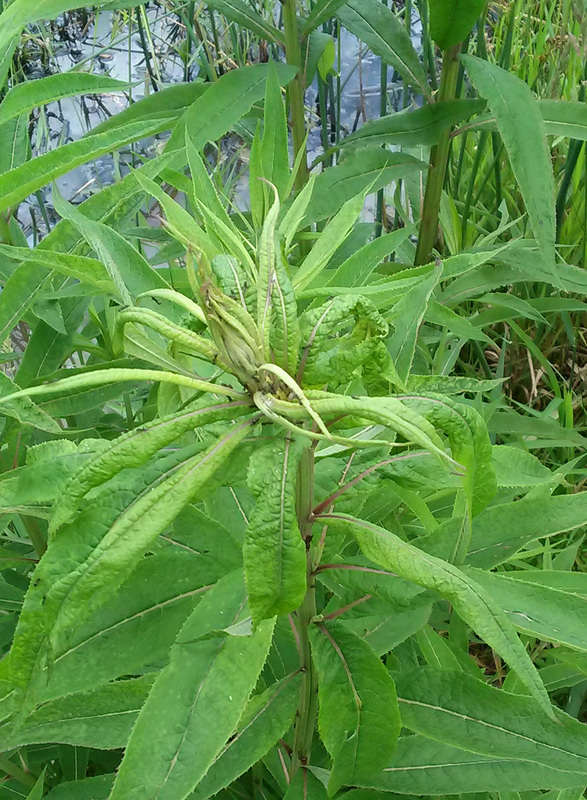 Ants on a plant in a floodplain wetland along Toms Creek in Blacksburg, Va., June 20, 2015. Brian L. Fisher and Stehan P. Cover, Ants of North America, University of California Press, Berkeley, Calif., 2007. Laurel D. Hansen and John H. Klotz, Carpenter Ants of the United States and Canada, Cornell University Press, Ithaca, N.Y., 2005. R. W. Merritt and K. W., Cummins, An Introduction to the Aquatic Insects of North America, 2nd Edition, Kendall/Hunt, Dubuque, Ia., 1984. – only aquatic hymenopterans are some parasitic wasps that either enter water as adults to contact aquatic hosts, or may parasitize non-aquatic forms of insects that have an aquatic forms; p. 438). Gary J. Skinner and Geoffrey W. Allen, Ants, Richmond Publishing, Slough, England, 1996. University of California-Davis, “Pests of Homes, Structures, People, and Pets,” online at http://www.ipm.ucdavis.edu/PMG/PESTNOTES/pn7411.html. University of Florida Department of Entomology, “Featured Creatures/Red Imported Fire Ants,” online at http://entnemdept.ufl.edu/creatures/urban/ants/red_imported_fire_ant.htm. Brian Vastag, “The Incredible Floating Fire Ant,” Washington Post, 4/25/11; online at http://www.washingtonpost.com/the-incredible-floating-fire-ant/2011/04/22/AFd3EbjE_story.html. For previous episodes on insects in Virginia, please see the “Insects” category at the Index link above (http://www.virginiawaterradio.org/p/index.html). LS. 4 - organism features and classification.